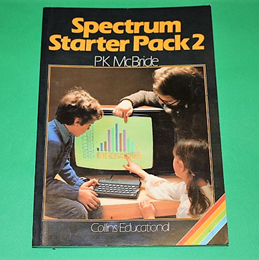 This book enables the absolute beginner to use and get the best from the Spectrum, so is a great introduction to the machine, building on the ideas already covered in "The Spectrum Starter Pack 1. The book and contains lots of examples to supplement the manuals shipped with the machine. Unfortunately, the accompanying cassette which originally came with this book is missing, but the book is useful in its own right.